Never have the deep scars of the Cold War division of Korea been so evident as when 100 family members in each of the two country’s halves were temporarily united August 15-18, 2000, in Pyongyang and Seoul, respectively. In most cases family members had not seen each other for fifty years. They represent some 10 million families involuntarily separated by the U.S.-established 38th Parallel. The U.S. decision to divide Korea upon the surrender of the Japanese on August 15, 1945, and the subsequent U.S.-directed reign of terror that led directly to the civil, and then, consequently, the hot war, to be followed by extensive periods of military dictatorships supported by the U.S. government, surely must rank as one of the cruelest tragedies of the Twentieth Century. Thus when Koreans celebrate Liberation Day on August 15, it represents the most bittersweet of memories. Ironically, U.S. General Order Number One was issued on August 15, 1945, the same day ecstatic Koreans, finally free of forty years of Japanese occupation, formed the Committee for Preparation of Korean Independence (CPKI). This General Order authorized the U.S. to accept surrender and facilitate repatriation of the Japanese, forbidding the existing Japanese administrators from turning over any of their power to Koreans prior to the imminent arrival of U.S. forces. Nonetheless, by August 28 all Korean provinces on the entire Peninsula had CPKI offices, and at a national congress in Seoul on September 6 proclaimed a broad-based coalition sovereign government, the Korean People’s Republic (KPR). The very next day, September 7, General Douglas MacArthur, as commander of the victorious allied powers in the Pacific, issued a proclamation addressed to the Korean people south of the 38th Parallel announcing immediate occupation by U.S. military forces. The first contingent of more than 70,000 troops began arriving on September 8 at Inchon. Korea has not been free of U.S. occupation forces since. And the then newly created U.S. Army Military Government in Korea (USAMGIK) hired, rather than repatriating, many of the Japanese colonial rulers and their Korean collaborators, including the feared Korean National Police (KNP). To add insult to injury, in December the U.S. had the audacity to declare the KPR and its activities illegal. The continued presence of 37,000 U.S. military forces and their weapons systems (including depleted uranium U-238) at 42 major bases (four Air Force, two Navy, and thirty-six Army) and nearly 60 smaller installations, along with their two practice bombing ranges (at Mt. Taebaek, more than 100 miles southeast of Seoul, on the coast near Wondok; and at Koon Ni, 50 miles south of Seoul, at the west coast village of Maehyang Ri), continues to be a grotesque and provocative occupation of Korean sovereignty. No other "free" country in the world is so occupied as is Korea. And in nearby Japan the U.S. has more than 40,000 additional military troops at more than 30 major locations, with plenty of nuclear weapons at their disposal. My presence in Korea August 9-17 as part of a Korea Truth Commission (KTC) international delegation during the year 2000 Liberation Day celebrations was fraught with emotional ups and downs. I witnessed Koreans’ various expressive attempts to reveal their contempt for the continued U.S. military presence, including at the gnawing Koon Ni practice bombing range, while amazingly celebrating their yet-to-be achieved liberation through reunification at various events in and around Seoul, only to be constantly met with police-state tactics of the supposedly progressive Kim Dae Jung Korean government. Thousands of riot police were present virtually everywhere Koreans were gathering. At Maehyang Ri some 1200 students demonstrating against the continuation of the bombing practices were facing down more than 3,000 riot police. Some of the students broke through the razor wire fence in an attempt to occupy spaces deep within the range. There was head bashing and consequent injuries. In another case about 300-400 nonviolent protestors chanting "U.S. out of Korea in Preparation For Reunification" in front of the Myungdong Cathedral in Seoul were brutally beaten by 1,000-1,500 riot police with billy clubs, sending twenty to the hospital, many with head wounds. I could not comprehend obvious reasons for the show and use of force against these peaceful protestors. It is obvious that the Korean people’s deep aspirations for reunification (through a confederation model) and demands for expulsion of the U.S. military are a threat to the entrenched political-economic plutocratic right-wing status quo, protected by the foursome of Korean forces — the military, police, National Intelligence Service (NIS), and the right-wing politicians and their fledgling relationships with the fading Chaebols. The Korean foursome is in turn bolstered by the four key U.S. players in Korea — the U.S. Commander of U.S.-ROK Combined Forces, the Eighth Army Commander, the U.S. Ambassador (currently Stephen Bosworth), and the usually unknown CIA Station Chief. And these U.S. players are the international investment community’s guarantor for the "stability" necessary for continued rapid integration of the Korean economy into the religion of the era — neoliberal global supermarket "free" economics. Though Korean President Kim Dae Jung possesses an authentic history of Korean struggle for justice and reunification, he appears to not be in charge of the "required" expanding economic agenda engineered by Washington for Western capital. Our KTC delegation continued to receive testimony from survivors of massacres committed 50 years ago by U.S. forces or South Korean forces under U.S. command. We first visited the Kumjung Cave mass grave in Ilsan, Kyonggi Province (170 skeleton/skull sets found to date), then the twin bridges viaduct near now infamous Nogun Ri, 100 miles south of Seoul near Yongdong in North Chungchong Province (where only 30 or 40 out of 500 to 600 civilians from the two nearby villages of Imgae Ri and Joo Gok Ri survived both bombings and 60 hours of small weapons fire). The KTC has now brought international delegates to 12 massacre sites, while Koreans are organizing local massacre investigation committees in several dozen communities. There are 18 provinces in all of Korea, including the island of Cheju, and soon there will be committees in most if not all provinces, coordinating their information about massacres and murders of civilians with the international KTC office in Washington, D.C. and its corresponding North and South Korean executive directors. The KTC must now be prepared to receive testimony from survivors from as many as 200-300 ground massacre sites throughout Korea, in addition to witnesses of the now well established pattern of the indiscriminate intentional and deliberate bombings of civilian targets throughout the northern part of the Peninsula, as well as in portions of the south. Many of these bombings used napalm indiscriminately on a massive scale. In addition there is now a well documented case of the use of bacteriological germ warfare in portions of the north and China in 1952. Every effort must be made to not just document testimonies from the many survivors, but also collect newspaper and periodical reports from that time, and documents from the U.S., and both South and North Korean governments. Koreans are now estimating over 1.5 million civilian victims of massacres, but when counting casualties from bombings the figure approaches 4 million! 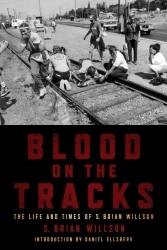 Through these authentic stories of massacre survivors the lies that have concealed the cruelty of U.S. occupation and subsequent campaigns of terror that directly led to the Korean War can begin to be revealed. This truth telling is an important part of a genuine reunification process defined by Koreans rather than on terms dictated by imperial Western interests. We also met with 40 of the 94 surviving long-term political prisoners who were released from South Korean prisons in the last year or so. Originally more than 700 in number, they could have been released if they had signed a statement renouncing their political beliefs in a unified socialist Korean society. The price they paid was serving an average of more than thirty years in unheated prisons forbidden all that time from seeing any visitors. This is an example of people who placed principle of preserving Korean sovereignty and identity above assimilation into a Western-imposed economic system. On September 5, 2000, those who wish to return to North Korea will be allowed to do so. About two-thirds of them have chosen to return to what they call their homeland. Though the historic Korean summit held June 13-15, 2000 between the South’s President Kim Dae Jung and the North’s leader Kim Jong Il was a huge step toward genuine peace and reunification of the Peninsula, we observers in the U.S. are wary of Western intentions to control the terms of the deeply sought reunification. At the time of the summit, an International Monetary Fund (IMF) delegation was meeting with South Korean government officials on the latest year 2000 IMF agreement for Korea, one which by dictation will eliminate virtually any control by Koreans over their highly capitalist economy, while significantly reducing the Chaebols’ capacity for effective competitiveness with U.S. and European enterprises. In May, Charles Downs, a senior foreign and defense policy advisor for the U.S. House Republican Policy Committee was quoted: "If North Korea pretends to have common ground with South Korea it is in order to fracture the alliance [between South Korea, U.S., Japan, and other Western nations]." And Han Sung Joo, former South Korean minister of foreign affairs was quoted: "North Korea has had the habit of picking and choosing dialogue partners and playing off one against the other… We should not let North Korea play that game successfully," concluding that the U.S., South Korea, and Japan alliance should bargain as a unit facing North Korea (Agence France Presse, May 22, 2000). On June 8, U.S. President Clinton met with Japanese Prime Minister Yoshiro Mori and President Kim Dae Jung in Tokyo (at the funeral of former Japan Prime Minister Keizo Obuchi) where they discussed policy toward North Korea in preparation for the June 13-15 summit. It was reported that there was "anxiety" about allowing the two Korean Kims to "court unchaperoned" (Dow Jones News, May 30, 2000; Time.com, June 9, 2000). And genuine reunification efforts undercut the image of North Korea as a threatening "rogue state" the U.S. has used to rationalize its national missile defense system (NMD), and the $60 billion in profits that will go to the major weapons contractors involved — Boeing, TRW, Raytheon, and the prime contractor of the NMD’s booster system, Lockheed Martin. The latter operates the Koon Ni bombing range at Maehyang Ri where it freely experiments with new weapons systems. Donald Gregg, past U.S. Ambassador to Korea, former CIA Station chief in Korea, former intelligence officer at the National Security Council (NSC), and current President of The Korea Society, was quoted in April of this year: "There is talk of an ‘investment belt’ north of the demilitarized zone, and 130 South Korean firms are reaching out to the north" (USA Today, April 11, 2000). The Hyundai Chaebol Group has already agreed with North Korean Defense Commission Chair Kim to open Kaesong as a tourist resort and to develop a large-scale industrial complex. I believe that U.S. intelligence officials, military officers, and White House and State Department policy experts may be deeply divided over the seriousness of missile threats from North Korea. But I do not believe they are confused about the need to manipulate the historic and emotional reunification aspirations of Koreans in order to satisfy the West’s determination to control the economies of all nations, including Indigenous societies. No part of the Mother Earth will be allowed, according to this myopic thinking, to be exempt from the insatiable profit desires of speculators in the "free" market, whether located north of the 38th Parallel in Korea, or among Mayan Indians in Chiapas, Mexico. Korea has been evolving as a unified culture for 5-6,000 years. Artificially divided only for the past 55 years, it is time for the Koreans to once again be in charge of their own destiny. We now know from examining numerous examples in other countries that adoption of a rigid Western economic model creates ever more poverty and misery for the majority, while enriching only a few. Meanwhile this model is rapidly destroying the ecological fabric so important for our survival. By adopting IMF conditions, Korea would only continue to be a quasi-colony of the U.S. rather than participating in the world economy on its own terms. Koreans possess a unique culture the continuation of which is important for their own integrity. It is extraordinarily important for there to exist examples of diverse, humane societies, locally autonomous cultures and economies that sustain and care for all citizens. Without preservation of these examples our species is threatened with imminent extinction due to the blindness caused by our privatized greed. This entry was written by brian, posted on at 4:55 pm, filed under The Most Dangerous of Rogue Nations: The United States, Korea. Bookmark the permalink. Follow any comments here with the RSS feed for this post. Post a comment or leave a trackback: Trackback URL.